I don’t usually have luck – good or bad. 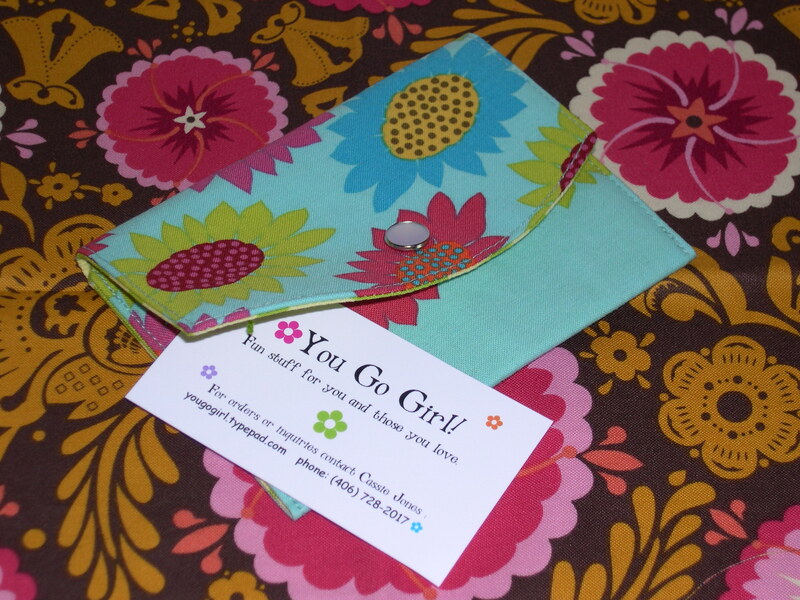 But on the same day I mentioned the jelly rolls of fabric I won from Moda, I found out I won this adorable zippy wallet from Cassie at You Go Girl, which arrived in today’s mail. 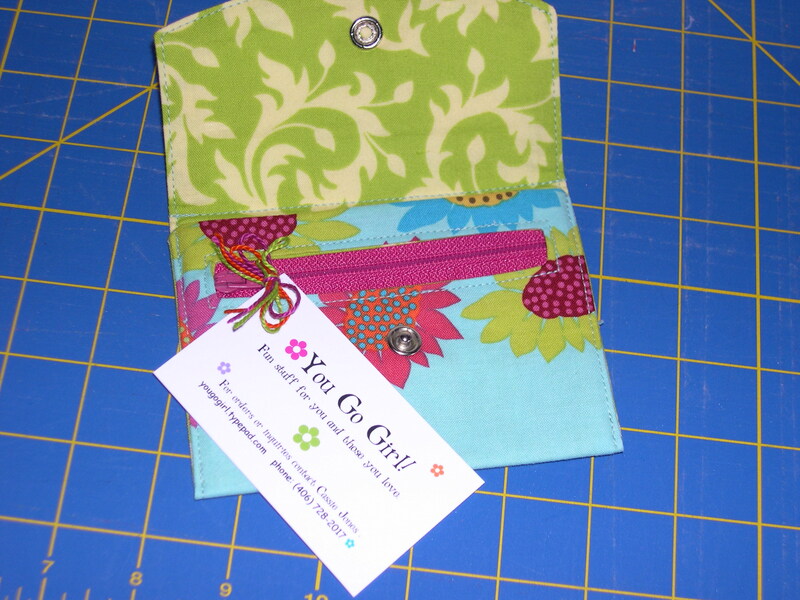 I especially loved this wallet because it has a little zipper pocket on the inside for change or stamps or hair clips. She went overboard and included a piece of fabric from the new Good Folks collection – my new favorite! Thank you so much, Cassie! Your sewing is perfect. I also received a nomination for this award from Gwen at After the Dress. Go check out their blogs cuz they have fun projects to share, helpful sewing advice, tasty recipes, and great photography too. Thanks for the award Terri! Love your prize – such a handy wallet. The Good Folks fabric looks gorgeous – my favourite fabric store has it on order – can’t wait to see it in real life! Congrats! You’re one lucky girl 🙂 And I think I have to get myself some Good Folks. And thanks for the brilliant idea with the ruffles for the skirt! Thanks for sharing with me Teri! That’s awfully nice of you. And what a cute little wallet! Perfect fabric for you! I agree Good Folks is becoming an instant favorite of mine too. I think I need to get some yardage of it though because the fat quarters are running out too quick! Glad your wallet arrived safe and sound. It is one of my favorites! Love that Anna Maria fabric. Can’t wait to see what you turn that Good Folks fabric into. Thanks too for the award.